Interviewers try to figure out the candidates in their first notice, their attitude and enthusiasm towards the job will be quickly screened by the way they behave at interview. So it is always best to get prepared on how to impress the employer. The applicants may miss the opportunity due to their silly mistakes sometimes. So here are few things to take care while you appear for an interview. 1. Do homework. Practice your introduction, analyze the mistakes. Google tips for making a flawless pitch. Be confident while you introduce yourself, Make sure your pronunciation, fluency, vocabulary is apt. 2. Sometimes we get stuck in middle of our introduction. Try to use filler words and allow yourself to recollect the next words. Concise your jam session. Make sure you gave a brief version about the topic in one min, and use appropriate words. 3. It is all about how spontaneous you are that the interviewer will check. How fast you can react to the situation and your communication skills will be assessed through this round. This presents your potential ability to the employers. 3. Also show abilities how can you manage in a team by participating actively while giving a presentation about company or being active in group discussion, this will be also counted on part of assessing candidates. 2. Maintain eye contact while answering the questions, when you assess face to face try to look at the interviewers and answer, this makes them know you are confident with your answers. 3. Do not sit with hands crossed or legs one on another, this shows you are lazy and gesture of an informal behavior. Sit firm and answer the questions, do not play with hands out of nervousness and tension. Do not lean on the chair, occasionally give hand gestures while you communicate, make sure your body language is not too casual. 1. Wish the employer when you meet him/her for the first time and introduce yourself. Do not give pale expression while you speak. A smile with greeting shows you are relaxed and glare. 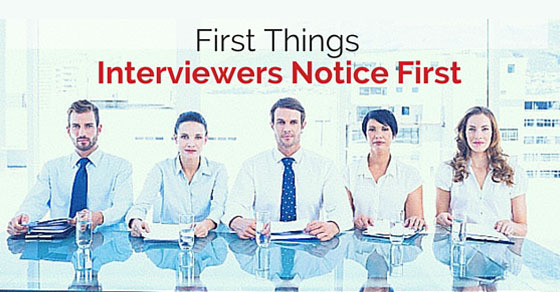 To conclude, make sure you present well at your first glimpse of your interview. Do homework how you will try to present yourself. The behavior, attitude, personality is what that any company would require in this corporate world. Create your first impression as best impression. Do not opt for second chance, treat the first opportunity as the last opportunity. Above are the keys steps one should follow to nail the job.